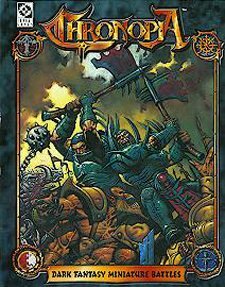 More work with John Robertson and Target Games, this time for his sword and sorcery wargame Chronopia. I was a little more involved in the creation of some of the game’s main tribes and still like the idea of a vicious Drawven race whose tribes were based on animalistic totems. More background writing with a few thematic text pieces to set the scene of the game’s background. A lot of the art was by Adrian Smith, which is always a good thing. No one does demons and armoured psychopaths better than Adrian.